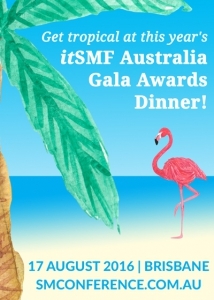 In this third installment of the guest blogger Q&A series, itSMF Board member Justin Gasparre shares his recommendations on nominating for the itSMF Industry Awards and his experience at the Gala Awards Dinner. Can you tell us why you decided to nominate for the 2016 Service Management Awards? I was nominated for the awards by a close colleague who had observed my contribution to the itSMF community over many years. I agreed to accept it as I have contributed many years of volunteer effort to itSMF, from local chapter support and representation through to a position on the board over two periods. I’ve also contributed very openly to my colleagues in Defence and anyone else who needs help in this space. What do you think makes a compelling Awards nomination? A compelling awards nomination will need to speak to the person’s contribution to the cause and the community. I guess you can’t be a champion if you don’t champion what we do and the value we bring as ITSM professionals. Can you tell us about your experience at the 2016 Gala Dinner and Awards celebration? What were the highlights? For me, the highlight of the Gala Dinner in 2016 was being able to stand up in front of my peers and share the message that we are all champions and to share my gratitude to the forum and community. It was also great that my past colleagues were there to share in the accolades! 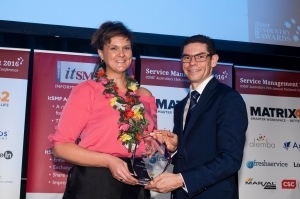 Why are the itSMF Industry Awards important? 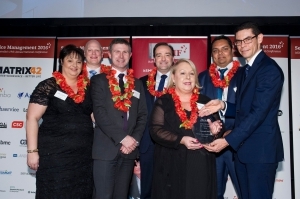 The itSMF industry awards are an important event to showcase the significance of the work that the community is involved in and the improvements that we make on a daily basis. Having national recognition for great work being done is important and it is good to see that the major IT news sources are picking up on the event. What advice would you give potential nominees? The advice I would give to potential nominees is to NOMINATE!!! Don’t be shy! Recognise the contribution you make and get your colleagues to put you up for an award. If you’ve got a nickname for your Service Management prowess, then you’re probably a candidate! What are you looking forward to at Service Management 2017? I’m looking forward to Service Management 2017 and the 20th anniversary of the itSMF, it should be a great event and a fabulous Gala Dinner. I really enjoy catching up with colleagues from the past and making new connections with like minded professionals and those who contribute to the development of our forum and community. If you’d like to nominate for an itSMF individual or team award you can find more information on the website. Justin Gasparre has over 15 years of IT experience ranging from helpdesk, field support, systems administration and culminating with IT Governance, Board of Management Representation, Director of a large APS organisation delivering enterprise solutions and now business owner and consultant. Trained in a variety of best practice methodologies and being from a technical background, having operated an IT Solution provision business, and working in multiple major Government Enterprise environments, Justin has an excellent understanding of IT and Business. Q&A with an alumni speaker! In this first installment of a series of chats with those that have previously taken the stage at the Service Management Conference – Paul Edwards kindly shares his speaking experience and tips. Hi Paul! Please tell us a little about yourself – what is your area of expertise and what kind of Conference speaking experience do you have (if any)? I’ve got a 25 year background in IT, ranging from duty programmer (the parent of help desk and the grandparent of service desk), managing Unix and VMS boxes, lecturing, running high performance computing and visualisation systems, IT Service Management consulting, strategic consulting, being an in-house consultant/troubleshooter in the financial services sector, mentor to various amazing people working in technology, being mentored by equally amazing people who work in technology, and most recently running projects and governance functions for cyber security in a big bank. Overall, I would say I am a people person rather than a technology person. In terms of conference speaking experience, I’ve presented several times for the itSMFA, spoken at a number of other conferences (generally in the secondary and tertiary educations spaces), and spent many hours watching conference speakers and learning from all of them. What would you say are the top benefits you gain from sharing your expertise and insights at a Conference as a speaker? First, it really helps me refine my ideas (and in one memorable case, changing my idea 180 degrees!) Writing a white paper or Conference paper cannot be beaten as far as stress testing the topic you are talking about. Second, there’s a kind of intellectual endorphin rush I get from knowing that for the last 50-odd minutes, a group of people have walked away with some more knowledge, probably some interesting questions to explore if they are inclined to do so, and hopefully ideas on how to change the status quo. Finally, I’ve made some lifelong professional connections and friendships thorough people who have come up to me to talk / ask me / grill me about my session. In the past, you joined the speaker line-up for the Service Management Conference via the anonymous submission system. Can you describe your experience with this process? This was excellent. I found that the process meant that the reviewers were providing feedback, which in turn challenged me to make the presentation clearer and (I suspect) more successful. My paper went through four iterations once I had submitted it; almost every suggestion from the reviewers was valid, they challenged me to think more deeply about both the topic and how best to communicate the ideas, and ultimately ended up having me present a paper that was far better than the one I originally submitted. How was your experience at the Conference overall as both a speaker and an attendee? As a speaker: the full gamut of emotions. Will anyone come to see me speak? Oh good, there’s a few people. Oh dear, I must have made the abstract too persuasive, because the room is now full. And now there are people standing at the back because there are no seats left! I hope I will not be wasting their time! Uh oh, I’m getting introduced now. Up on stage. Hand grabbing my stomach from the inside. Got through the introduction OK. Getting into a rhythm now. This is great. What, there’s only five minutes left? Questions, answers, the session is over, but now more people want to talk to me. Let’s do it over a cuppa. Relief. Relax. As an attendee: great fun. A range of interesting and challenging speakers. A range of interesting attendees. A chance to catch up with people I’ve not seen in years, and a chance to make new friends. What was your favourite part of it the Conference experience? Can you share some standout moments? First, (and this is fairly generic): walking out of a talk, thinking, I can’t *wait* to try and do that. Or thinking: wow, I did not know that, and X is now really interesting and I should look into it more deeply. Second, the people you meet. Standout moments? Generally anything involving Peter Doherty in a bar. What were the most important learnings you took away from the Conference experience? For 2016: the Cynefin framework; Vinh Giang and breaking things down; Karen Ferris’ approach to picking the top three competencies in ITSM; learning that it is possible to become accredited as a Lego® Play facilitator (now on my bucket list). 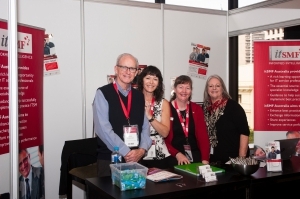 What advice would you give someone looking to submit a proposal to the Service Management Conference this year? Give it a go. The anonymous peer review system means that even if ultimately you do not get selected, you will mature your ideas. If you do get selected, it is a fabulous opportunity to develop your speaking skills, and add to your professional network. Submissions to speak at Service Management 2017 close on Friday 12 May 2017 – find out more and submit a proposal here. 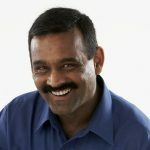 In this guest blog, Sunit Prakash wraps up Service Management 2016 and highlights the new standards for IT service delivery. 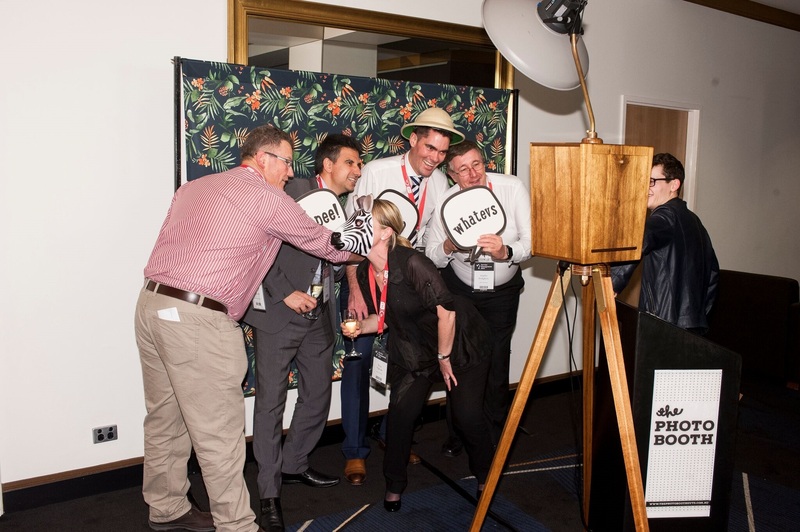 The 19th annual Service Management conference in Australia showed us a glimpse of how service management is evolving beyond the traditional ITSM. This year’s itSMFA literally shook I.T. up by extending conversation to Agile, DevOps, and Lean – the latter finally making its entrance to the mainstream service management vocabulary. At this years conference, it was clear to see that there were now a number of cloud-based IT service management tool providers offering rich functionality with very low barriers to entry. Which essentially meant no upfront costs, expensive licenses, implementation costs, or support costs – just following an elastic pricing model. Tools that were previously only available to top-end enterprise customers, were now available at a fraction of the cost to small and medium businesses – and to their suppliers and partners who look after them. The implication is that a whole new market could potentially move up from managing their IT and operations by email and spreadsheets to much more sophisticated tools that they previously did not have access to; and perhaps many others at the enterprise end of the market, could potentially move away from on-premise or more expensive tools. 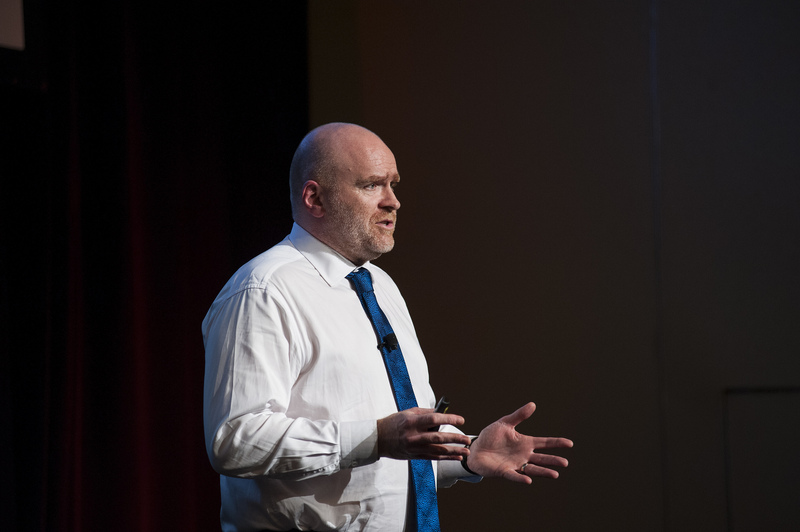 IT Service Management often does not get the same attention as say, security or architecture or project management; but to have Andrew Mills, the CIO of Queensland Government talk about aligning IT with business strategy was a rare treat. Talking about the importance of driving self-service adoption in the workplace, Narain Muralidharan emphasized on the necessity for IT to think like growth hackers, and effectively market IT self service to the larger organization. He went on to give a number of simple, yet practical ideas taken from real-world success stories with the self service IT portal, and how to apply them in the service desk scenario – backing it with a case study. Introducing us to Lean, Em Campbell-Pretty stressed upon how the heart of Lean is its values and leadership – stressing on the need for leaders to create time for innovation with a case study of a telecommunication service provider. The conference peppered with Lean related sessions, and it demonstrated that Lean in IT was beginning to enter the lexicon for many. Adam Seeber’s keynote about Lean and Agile was insightful – how it’s not a choice of one over the other but that it’s taking the best of both worlds to suit your business needs. He emphasized on the significance of it being adaptable, be it Lean, Agile or ITIL, and went on to describe how customers define value for the business more than anything else. An eye-opener for the audience was Charles T. Betz’ session introducing the IT4IT standard with Lean language of value chain, value streams, digital supply chain, handoffs, capacity, and value. He explored the current state of IT and offered practical advice on holistically managing IT for business. With the key takeaway around product management being customer intimacy and cross-functional collaboration. 40 Agile methods in 40 minutes by Craig Smith covered various process improvement methodologies – Lean, Agile, Theory of Constraints and everything in between no matter how esoteric. He openly shared the concept, its history, the pros and cons, how widely it was used, and where to find more information. Bringing in fresh air to the string of topics, Michi Tyson spoke of taking Agile beyond IT and combining it with Lean management and design thinking. Her Lean Canvas and startup background showing clearly in a conference dominated by mature IT departments and businesses. This one was of particular interest because one could see the Enterprise Architecture approach coming through, and the same discipline being applied to the business of IT holistically – once again, using Lean principles. itSMF 2016 was another insightful, rewarding, and successful conference. It left the audience questioning the conventional way of ITSM – and leaning towards better IT service delivery. This blog is edited, and first appeared on the Freshservice blog – you can view the original here. 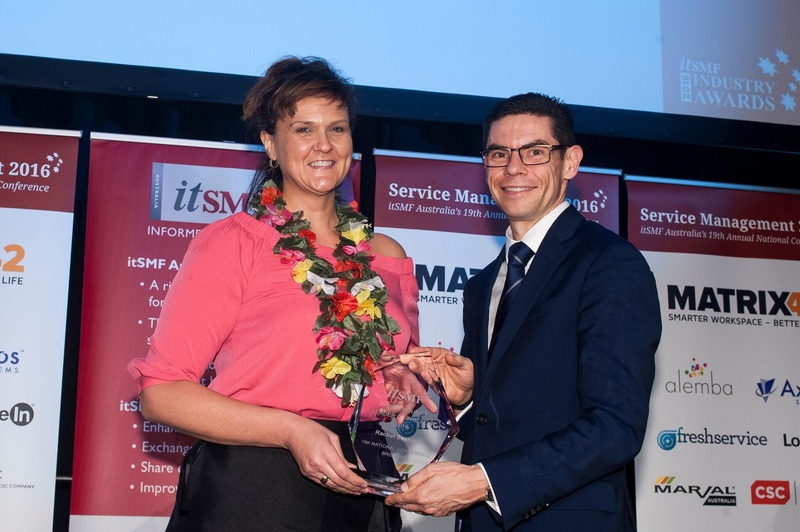 Aprill Allen, National Events Director of itSMF Australia, shares her thoughts on Service Management 2016. We certainly shook things up this year. 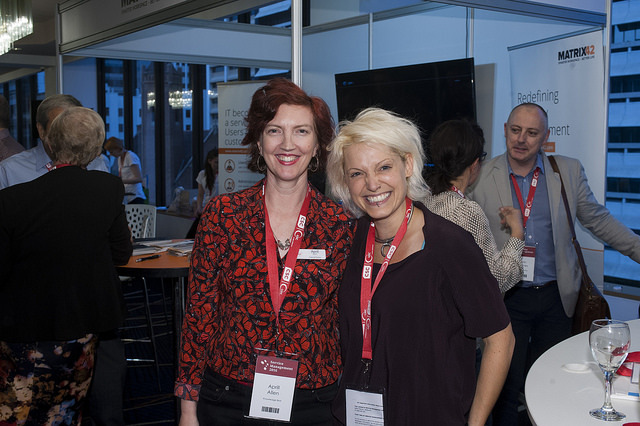 I was confident at the start of the week that we’d brought together a compelling and varied program, but by the time we’d finished our closing drinks on the Thursday afternoon, I knew our conference had exceeded all expectations. Before the week was done, we had members telling us just how much they enjoyed the program and how they’d been inspired to put in place new ideas and behaviours they’d learned from our speakers. Of course, my highlight is always the social side of things—the welcome drinks, where I’m reunited with colleagues I may not have seen since the year before; the gala dinner, where I get to see serious professionals cutting loose on the dancefloor; and the more spontaneous things, like what happened this year, where Charles Betz and Matt Hooper busted out guitars for an impromptu jam in the itSMF lounge. It’s equal parts social and professional development, though, and the challenge for my service management cohort is that we have to try and cover such a broad range of skills and capabilities. Our role at the itSMF is to expose our members to better ways of working with the tools and processes we’re more familiar with, but also to reach out into adjacent professions to find out what they can teach us. And, what seemed like an odd mix of keynote topics and sessions that raised a few eyebrows along the way, clearly had the right ingredients. Our community review process for speaker submissions provides the platform for our state committees and members to give voice to the most challenging problems of the day. This year, our reviewers wanted help with project and team leadership, how to be more Agile in their service delivery approaches, and how to be more strategic—thereby elevating IT leadership to a seat at the executive table. Our invited speakers were purposefully selected to break your regular pattern of thought. We launched head-first into our Shake I.T. Up theme with an opening keynote from Dave Snowden, who challenged our very way of best practice thinking. Charles Betz’s keynote went deeper into IT management and asked us to consider the risks we introduce with over-enthusiastic governance and controls. The strong undercurrent running through the conference, however, was about communication and collaboration. When we put more thought and time into these behaviours, we have a greater chance of success and growth from failure. On that note, I’d love to hear what new ideas you’ve taken back to your place and how you’re working towards shaking your I.T. up. Please share your stories in our itSMF Bulletin or in our LinkedIn group. 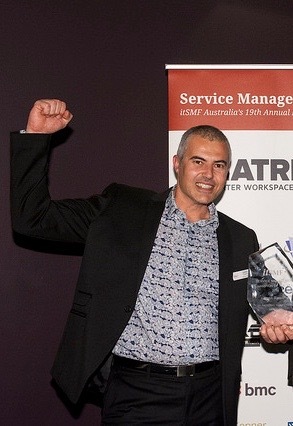 I look forward to seeing you in 2017.
itSMF Australia’s CEO Alan Hollensen reflects on Service Management 2016. Well the curtain has been drawn on our 19th National Conference and it was a tremendously successful event. The ‘Shake I.T. Up’ theme drew a great deal of attention even before the Conference commenced, and it lived up to this promise with a speaker program that had a different focus from previous years. Delegates were treated to insights of a future that is already unfolding at a dizzying pace, delivered by speakers of international repute. These were often ‘big picture’ presentations in which the well informed Service Management professional will thrive. We were thrilled to see attendance climb again this year, and sponsor support remained strong. In fact we welcomed a range of new sponsors along with attendees who we had not had the pleasure of meeting before. The format of the exhibition space made for great social interaction and gave attendees a chance to chat to everyone and to see everything – we won’t be changing this for 2017! But in the end the important thing was the opportunity for our professional members to gain insights they could implement back in their own setting and in this respect the Conference excelled. This was apparent from the first presentations when delegates were overheard making the point that they were emailing their offices with these new and important insights. It was apparent that people’s enthusiasm did not diminish on the second day – people were looking forward to another round of challenging presentations. Another thing that received a lot of positive comments was the Gala Dinner and Awards night. 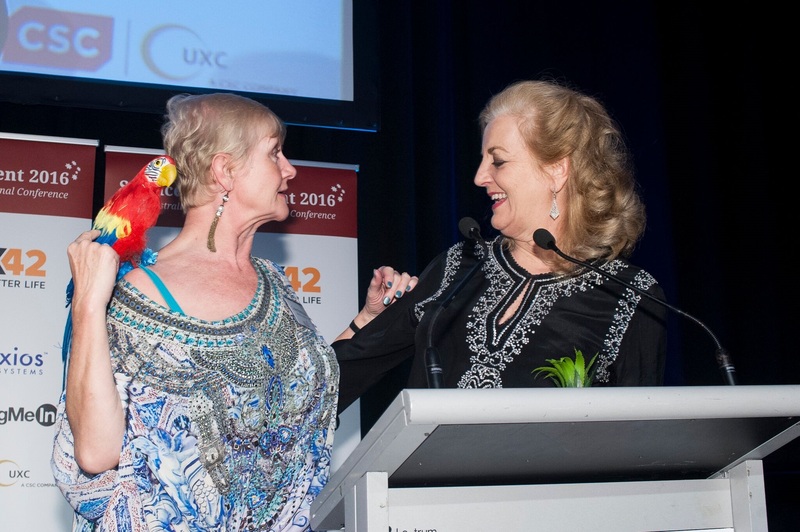 People liked the new format of the Awards and everyone was delighted to welcome back Jean Kittson for her second stint as MC – a job she seems to have been born for. Planning has already begun for next year and I suggest you stay posted for our updates – the countdown has already begun to our 20th National Conference. 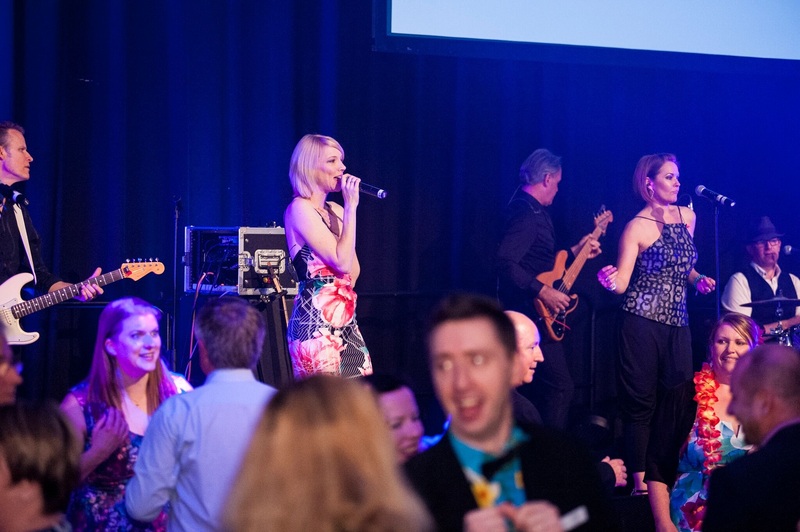 Last week over 400 attendees came together to ‘shake IT up’ at Service Management 2016! 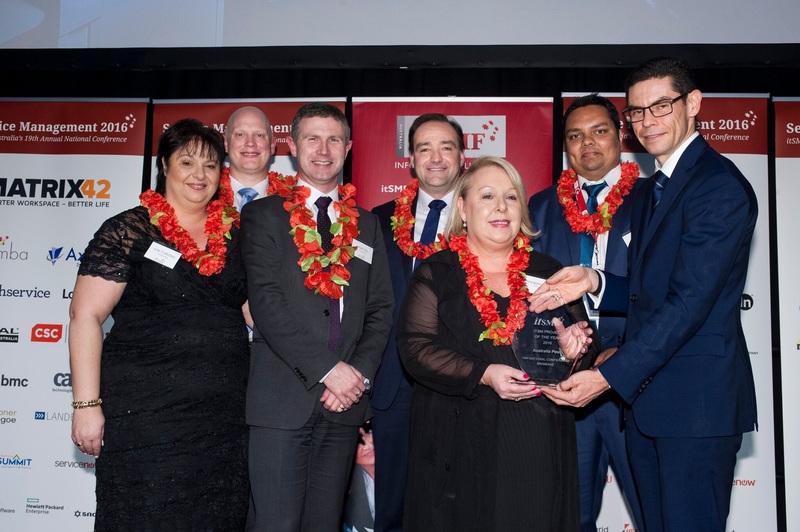 In addition to enjoying two busy days of networking, sharing and learning, the highlight for many was itSMF’s Industry Awards Gala Awards Dinner. 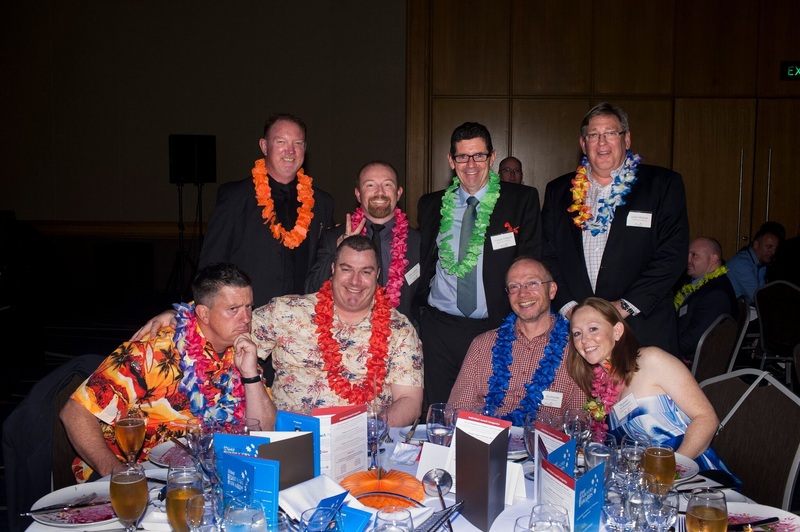 Themed ‘a touch of tropical’, this year’s awards – hosted by the hilarious Jean Kittson – saw many guests don a Hawaiian shirt, a lei, or even a parrot! Amidst the music of Hot Sauce, pink flamingo centrepieces, and a popular tropical-themed photo booth, the winners of this year’s itSMF Industry Awards were announced. Congratulations to the winners – and finalists! ITSM: don’t stop with Ops! In this guest blog, Rachel Seaniger urges continuation of the IT Service Management (ITSM) journey to achieve lasting value. My colleagues and I find that a large percentage of organisations implementing ITIL® only go as far as service operations (and often change management) but rarely get as far as formalised service strategy or service design. Reason #1: Obviously, the place to start is where the user is most directly involved with the IT organisation. The highest priorities are the areas of highest visibility – for example, processes for requesting a new laptop or incident management. That gets done then… nothing! Reason #2: Having tackled the immediate, customer-facing issues to achieve early wins, the team simply runs out of puff. But there’s so much scope to go further with ITSM… Remember, the tortoises are the winners. Reason #3: Sometimes the IT team tries to extend beyond service operations but simply fails. Feeling they’ve got their fingers burnt, they have little appetite for pressing on. Reason #4: ‘Business as usual’ always prevails within IT, chewing up available resources and time – so even the best-meant ITSM implementations grind to a halt prematurely (the road to Hell is paved with good intentions!). Reason #5: The business simply doesn’t understand the value of the more strategic ITSM processes, so is unwilling to invest further. Many senior IT managers also fail to see value in extending beyond ops. This is the big one and the hardest to overcome; without management commitment and sponsorship, the efforts of underlings are doomed to failure – however logical and passionately advocated. For all these reasons, we often get just so far – when there’s still a way to go. Users are happier, the organisation has paid lip service to ITSM and IT management feels that it’s fulfilling its charter. But how much more could be achieved? There is tremendous value in following up with the service strategy and service design phases. This takes ITSM beyond merely what the user is interested in and what they need; potentially transforming the entire IT service delivery function to make it more efficient, less costly and infinitely more stable in the long run. Without formalising these phases, you will always be playing catch-up. The ideal place to be is on your front foot: optimising emerging technologies and positioning IT to meet users’ future needs. Yes, I’m afraid that it’s all about the ‘I’ word that we all aspire (and struggle) to achieve: innovation. Look at the symptoms; do any of them sound familiar? This article was first published by UXC Consulting – view the original article here. Service Management 2016 is now less than a week away! 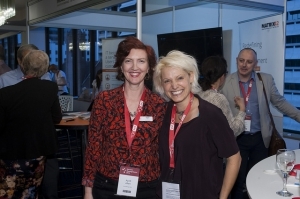 Find out more about the Conference program, Gala Awards Dinner, and workshops! 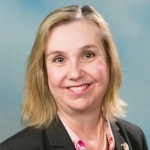 Kathryn Howard is the Deputy Chair of itSMF Australia, the Twitterchat facilitator and the Ignites wrangler. In an era where innovation and differentiation of product and service are key to remaining viable and relevant, women can, and do, bring unique perspectives to the workplace. Developing the potential of women is imperative for our organisations, communities and society as a whole to grow. In short, we need to focus on gender diversification. I have mentored for FITT (Females in Information Technology & Telecommunications) for several years. Initially I viewed it as a way to give back to the community at a time when I found a little space in my life. As my life got busy again I made sure I found time for FITT as I became profoundly aware of the benefits being realised by the program, plus the benefit to myself. What does gender diversity look like and how do we blend women into the fabric of our corporate world? We need to pursue the removal of boundaries and continue to encourage by providing ongoing support and access to role models. What are the boundaries of which I speak? It’s within living memory that women were required to resign from the public service when they married. And what about women’s access to education? My mother never went to high school. The only children in my family to go to university were boys. Due to limited education and gender bias my initial career options were few and could be best described as having been shaped by serendipity. I am, however, very fortunate due to a little thing called the “technology revolution”. I found myself in a field I liked and had some aptitude for. But others were not so lucky and it is incumbent on every one of us, male or female, to remain vigilant to defend the continuance of boundary removal to gender diversity. In Australia, our fortunate country, no one can argue against the right of today’s girls and young women to an education. But we still have some way to go to enable those same girls and women to develop to their best potential. Why are rewards and recognition different for men on the journey to a fulfilling career? Where is the affordable childcare and equal pay (the gender pay gap was 17.2% in 2015)? Plus where is the flexibility in the workplace in working hours and parental leave? Some organisations get it and reap rewards – but not yet all. Everyone needs encouragement but young people particularly need encouragement to optimise their educational opportunities. IT roles have long been considered the domain of the geeky male. Of course girls can achieve in technology just as well as their male counterparts. And we are finally seeing a generation of strong young women identifying with these roles – pioneers if you like. They now have a landing position, but where is their career map to achieve their potential? Where are the female role models? It’s very difficult to shape a career in a vacuum. Mentoring is a proven mechanism to aid people in their professional development journey. The FITT Mentoring program focuses on young women in IT to nurture self-worth, personal development, and supports the non-acceptance of boundaries based on gender. I’m not a young person anymore and never had a formal mentor. Such programs never used to exist. Being a mentor for FITT, however, has helped me to hone my skills in communication and leadership. It has also provided me with a mechanism to remain connected to young people and to engage with them in a world of ever-evolving attitudes and culture. Different careers will continue to disappear and appear over the coming years in increasing velocity. The new emergent careers are in fields we can only dream of and many will be in technology. Empowering women to be ready when the opportunity presents itself is key and I’m proud to say I’ve helped some young women on this journey. My mother would be proud to see me speaking on behalf of gender diversity. It is a term she would not recognise, although she would recognise the impact of its absence. My late mother rejected the role she was allotted over 70 years ago – the role of “stay at home daughter-housekeeper”. She demanded of her father: “I want a job”. Her father held control of her destiny so there was no alternate avenue for such a request. The future workforce of blended diversity will enable us all to fulfil our individual and collective potential. The good work of organisations such as FITT empowers our young women to the next step of self development and to demand of our working communities ……“I want a career”. Come along to Service Management 2016 to see Kathryn Howard’s ‘Ignites’ session. Guest blogger Corrinne Armour will be speaking at Service Management 2016 on ‘Fearless Leadership: 12 ways to derail your project fast‘. Waging a war on wasted potential, Corrinne’s mission is to empower leaders and teams to step up to Fearless Leadership. 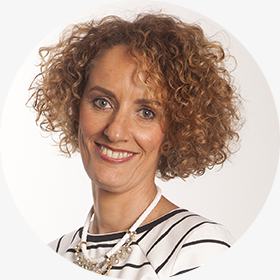 Recognised as a provoker of change and growth, Corrinne is a highly regarded leadership speaker, author, mentor and coach. She shows leaders how to release the human potential in their careers, teams and organisations. For more see http://corrinnearmour.com. I have never met anyone who likes to work with a leader who can’t—or won’t—delegate. And yet I work with many leaders struggling to give up control! Andrew Carnegie said, ‘No man will make a great leader who wants to do it all himself, or to get all the credit for doing it’. A paradox of leadership is balancing being in control with releasing control. A leader who holds tightly onto control risks increasing their own anxiety while disempowering their people. A leader with an excessive need to be in charge could be viewed by others as demanding, dominating and/or directive. A high need for control will foster micromanagement and thwart the ability to delegate due to the belief that no one can do the job as well as them. This often translates to high workloads and a struggle to achieve a work-life balance. This leader may be seen as self-focused, controlling or not motivated to collaborate, and will be critical of colleagues whom they regard as not taking sufficient responsibility for the quality/timeliness of the work. Might this be you? While your positive intention—the inner motivation driving your behaviour—is probably about producing a quality outcome, that’s not what others will be experiencing. Reflect on the personal cost for holding on to so much work. What is the cost to your professional reputation as someone who won’t delegate? Ask yourself: Who is ready to be developed into my role? How am I supporting their growth? Use your responses to guide your delegation. Focus on the outcome you need. What is the minimum amount of involvement you need to delegate this task? Delegate responsibility and authority—not just the task. Don’t let being a ‘Doer’–an inability to delegate–derail your leadership. Loosen up on control to become a better leader. This blog is based on Corrinne’s latest book, Developing Direct Reports: Taking the guesswork out of leading leaders. This book explains 12 leadership derailers, including ‘Doer – Inability to Delegate’. Curious about the other 11 derailers and how they could impact on your career, your project’s success and your organisation’s future? Find out at Service Management 2016. Congratulations to the 2016 itSMF Industry Awards finalists! The finalists for this year’s itSMF Industry Awards for Excellence in IT Service Management have been announced! This year the Awards categories were updated and a large number of submissions were received. The winners of the individual awards will also be announced at the Gala Awards Dinner on Wednesday 17 August 2016. This year’s Gala Awards Dinner theme is ‘a touch of tropical’. Attendees will be getting out their Hawaiian shirts and hula skirts and enjoying beautiful Brisbane! 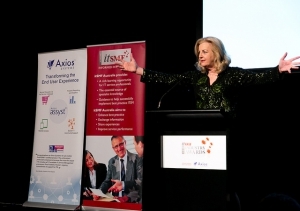 The dinner, which takes place during the Service Management Conference, will be hosted by comedian Jean Kittson with musical entertainment from Hot Sauce. Find out more about the dinner here. Congratulations again to all the finalists, and our sincere thanks to all nominees! SM 2.0. – and beyond!